Yeah, we know it’s good for the planet. But what the glossy mags and blog posts don’t tell you is that composting has its very dirty downside: bugs and vermin. Here, gardening columnist Darbi Davis lifts the lid (ouch) on composting without the icky live audience. You’re welcome. Recently, while on a job site discussing solutions to creative clothesline design, I found myself witness to a sci-fi-like battle between two native whiptail lizards over a gnarly, partially deceased cockroach. The fierce battle took place among the carrots and the kale and then abruptly paused. It seemed as though surrender was imminent – until the opponent re-emerged from the nearby compost with its own trophy, another writhing roach. Later, mice were discovered in the same compost pile. It was a fine example of a multitude of personalities mastering the art of co-housing. The whole episode not only made me think about my new neighbors’ plans to compost within 10 feet from the side door to my kitchen, it also made me ponder traditional composting methods – specifically the toss-in-a-pile or bin, and wait for it to bake. There’s no doubt about the environmental upsides to composting. According to the U.S. Environmental Protection Agency, in 2013 recycling and composting kept prevented 87.2 million tons of material out of landfills, compared to 15 million tons in 1980. The amount of carbon dioxide eliminated was equal to taking over 39 million cars off the road for a year. But how do you compost, particularly within a town or city, and avoid urban pests? First, learn how to properly manage traditional compost piles. There’s more to it than dropping the New York Times filled with coffee grounds and apple peels onto the ground or into a bin. There’s a balance that involves temperature, moisture and movement. Regardless of your geographic location, without the equilibrium the result is a stinky, pest-infested, rotten mess that likely won’t be going into a garden nearby. Here, then, are our tips for composting without the icky urban wildlife that can go with it. 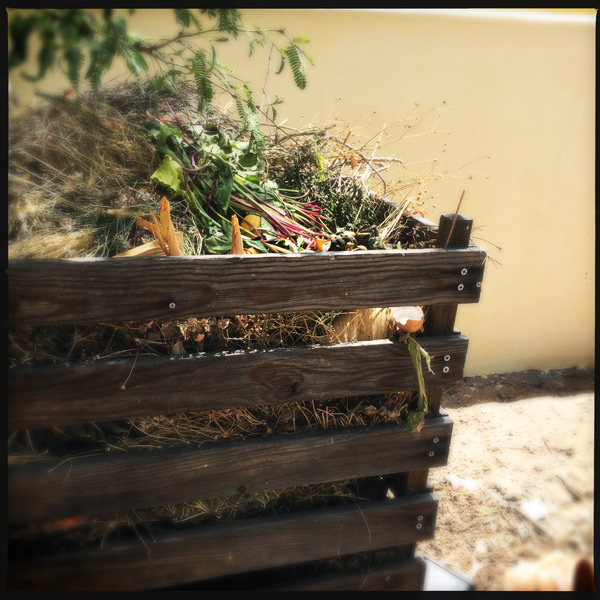 Successful compost involves a few key ingredients: heat (of which we in southern Arizona are plentiful), moisture (a bit lacking in the desert), and color theory (gradient materials from green to brown). 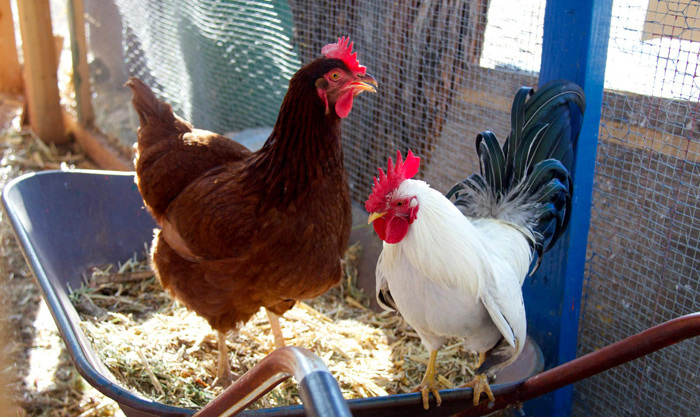 Omar Ore-Giron, owner of Native Roots, an enterprise specializing in passive water harvesting, permaculture, and native gardens, suggests one more ingredient for a pest-free traditional compost pile: chickens. “Every now and then, spread the compost out across the ground for the chickens to pick through. They eat the roaches, break down the compost, and poop, which accelerates the process,” says Omar. 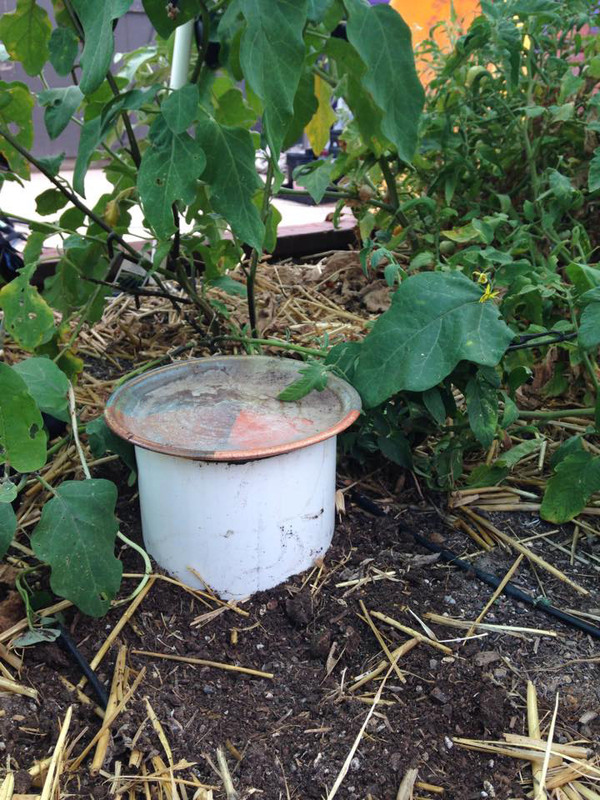 Speeding up the decay offers less time for pests to establish a community within your homesteaded compost program. This solution adds a few more steps to the process and mouths to feed, but it offers job security to retired hens. That sounds good to us! After less than a year of pilot testing, the City of Tucson’s Environmental Services department started a regular composting service for commercial entities which makes Tucson one of two communities in the state offering food scrap and yard waste removal for businesses. Commercial institutions can arrange to have their compostable items retrieved and taken to a composting site. 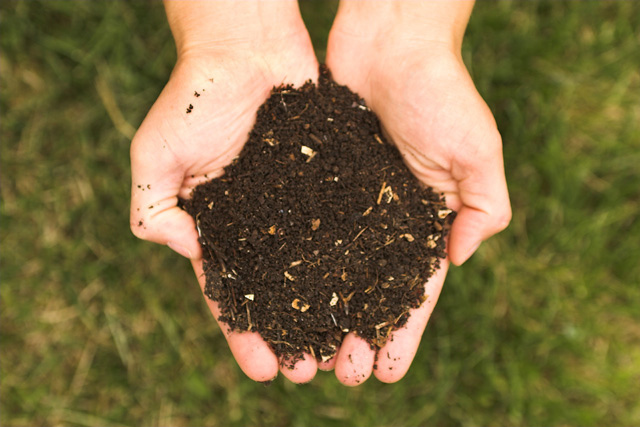 The compost is then used in government landscaping projects. How long before the program reaches residents? Programs of this nature are mandated at residential levels in other cities such as San Francisco, Portland and Seattle. Their benefits go beyond reducing waste. In tight urban environments and at the residential level, these programs offer opportunities to educate residents resistant to composting, provide convenience, and reduce infestation by urban pests. Let’s hope this program expands just as quickly to homeowners. Private enterprises fill the government void with similar results for those who buy in to the programs. Scraps on Scraps, a private company in Tucson, provides a five-gallon bucket and bi-monthly pick-up of green waste for $13 a month. The green waste is delivered to Las Milpitas Farm at the Community Food Bank of Southern Arizona, where it heats up and becomes part of the soil network that serves food insecure populations. 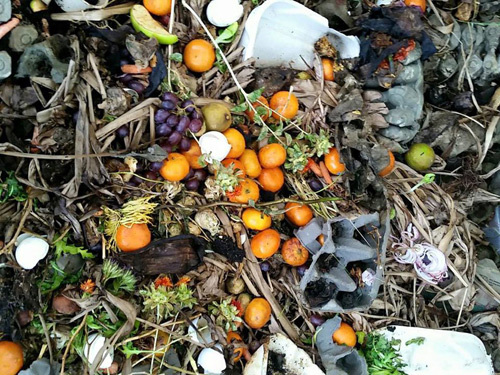 In spite of the rodents and roaches, composting is likely to become integral to our daily lives much like recycling has over the last several decades. An equilibrium of diligence and maintenance will likely be sufficient, but not for everyone. It’s important to keep up with pests beyond the simple fruit flies and maggots, which I can live with! It’s likely that those well-fed whiptales digging in and around your compost, darting past your feet as you cross the yard are feasting on the roaches within – and loving every last bite. But you know what they say about roaches and mice – there’s never just one. They do like dark, moist places, and have their place in the environment, and compost is one of them, but not 10 feet from your neighbor’s kitchen door. I, on the other hand, will stick to my beloved worms, or sign up for Scraps on Scraps, as well as encourage you to do the same if you live the urban life.